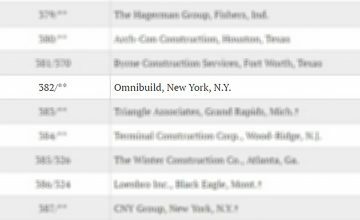 Omnibuild comes in at #382 on the list of the largest contractors in America. 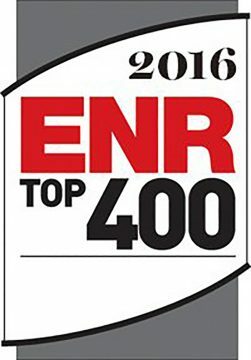 For the first time in its history, Omnibuild has been listed on ENR’s (Engineering News-Record) Top 400 list. The list is made up of the highest grossing U.S. based companies. Coming in at #382 for the year of 2015, Omnibuild finds itself on this list having only done work in the NYC area, while many of the companies on the list have operations overseas as well. Not bad company for Omnibuild. “We’re extremely proud of the hard work that our team has put in. 2015 was a big year for Omnibuild but 2016 is going to be even better,” said CEO, Peter Serpico. Omnibuild has a few high profile jobs hugging the High Line on the west side of Manhattan as well as just being selected as the team to finish up the renovation of Hotel Chelsea, a project that has been in progress for years now. Additionally, Omnibuild has been reaching its tendrils into other markets, building out new restaurants for LDV Hospitality in Philadelphia (Scarpetta) and Atlanta (American Cut). “While we don’t show up for work everyday in the hopes that we’ll be publicly recognized, we are grateful and honored to be on ENR’s list. The entire Omnibuild staff has a lot to be excited about and they deserve the high praise,” said Omnibuild founder and current COO, John Mingione. With over twenty active projects and over 125 employees, the future is bright for Omnibuild both in the new building and major renovation world. One thing’s for certain, the Omnibuild name is sure to be one you see on construction sites for many years to come.